White washing machine, pink bubbles. Hrm. 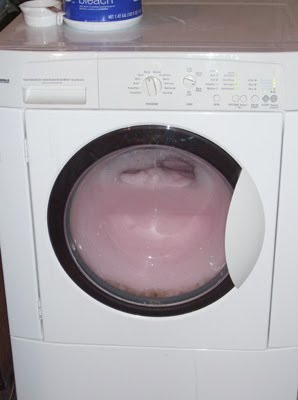 There were pink bubbles in my washing machine. Lots of pink foam. And it made me nervous. 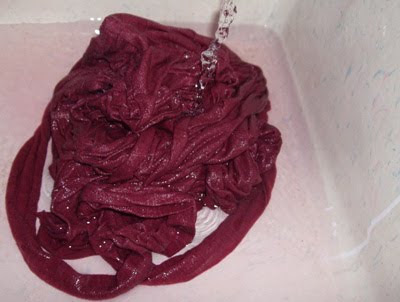 MVH didn’t even know I was washing a Rit-dyed garment, and I could feel him getting anxious across town. I didn’t panic. Of course there were a lot of bubbles. I washed one article of clothing on a heavy cycle with enough detergent for a full load of laundry. There was lots of space in the washer for the garment to flop around to make lots of bubbles. Relax. My fretting was for naught. 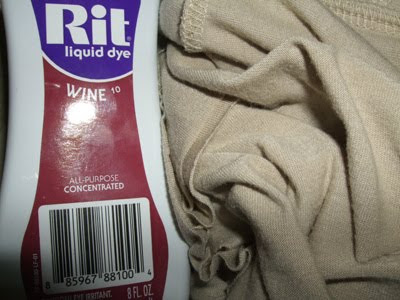 I ran a empty cycle with bleach immediately after the dyed piece of clothing, my newly wine-colored swimsuit coverup, and all colors stayed true in the end, sort of. There was no staining of my washer, thank God. How I spent 30 minutes: stirring the dye bath in my utility sink and reading a Rolling Stone article about the Beatles’ breakup. The operation occurred in my basement utility sink. 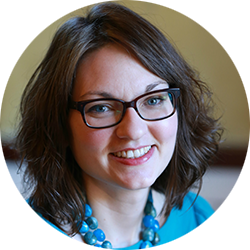 I wore junky clothes and an apron. And while I stirred the dye cocktail, I wore rubber gloves. Before I added the coverup, I dissolved a cup of salt in the hot water. 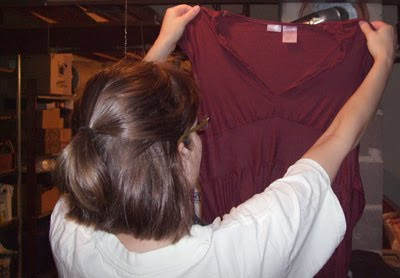 Rit recommends adding salt to the dye bath for dyeing fabrics that contain rayon. 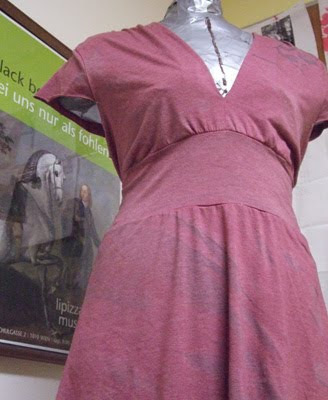 The coverup is a polyester/rayon mix. Dye + coverup = ? I used the whole bottle because I wanted the color to be dark, and because the dye needed to overtake the coverup’s original “whipped latte” (seriously, that what the tag says) color. I probably should have used a larger container for the bath because the bucket method calls for 3 gallons of hot water. I was probably closer to 2 gallons. I poured off water to make room for comfortably stirring the coverup. Last moments of the rinse. I gave the coverup a few final kneads (rinsing was very much like kneading bread dough), and tossed it into the washer. Then came the pink bubbles and anxiety. Into the washer with you, coverup! The cleanup, however, was easier than I thought it would be: I carefully poured the dye down the drain, avoiding any excess splashing. I put hot bleach water in the dye bucket and filled the utility sink with an inch or two of hot bleach water. I let the wooden stirrer and the gloves sit in the bleach water. I’m confident the sink and bucket won’t be stained. My final thoughts on dyeing: For a while, I will handwash the coverup. It doesn’t take much to swirl it around in some detergent. Handwashing will be done in the utility sink. 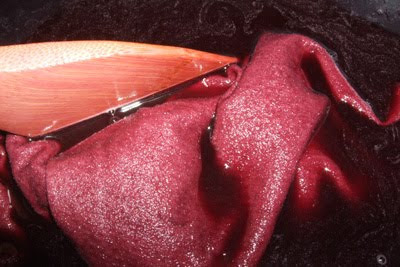 I’m still fearful of dyeing clothes pink if it’s washed with other garments. Until I’m satisfied that it’s done bleeding, the coverup gets special treatment. The final color… until the dye bleeds or fades? That I’m not particularly keen on. I’m a really practical woman, and I like low-maintenance clothes. I own almost no dry-clean-only items, and I avoid buying them, even when I’m thrifting. For me, most of the time, it’s a deal-breaker. So I’m a little disappointed that I have to handwash this thrifted goodie. But it’s not a piece of clothing that I’m going to wear a lot, and there’s not a lot of beach time left in 2009 in my part of the world. So I’m dealing with it. A curious thing had happened to the coverup when I pulled it out of the dryer. I notice that there were spots of uneven color. 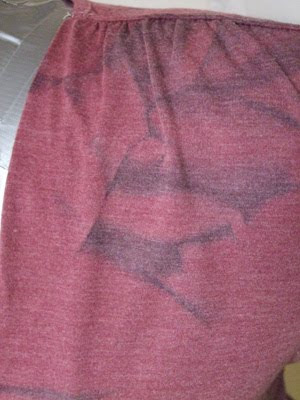 The garment wasn’t completely dry, so I think these streaks were darker because they were wetter. 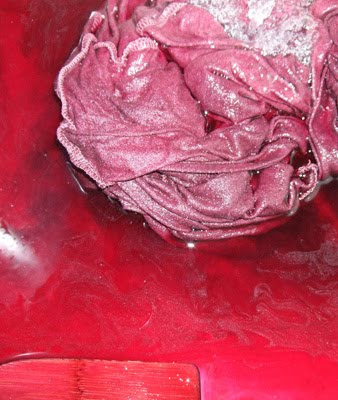 I have a couple of ideas about what may have caused this: The wash cycle was pretty vigorous, and it may have twisted the coverup a lot and caused dye to become more concentrated in spots. I also think that synthetic blends don’t take dye as well. Anybody out there know what happened? I kinda like how it looks, actually. It’s definitely better than the blah beige it used to be! I will see how well the dye holds up before I dye again. It could be a fun way to upcycle items I already own. But I think it’s a good policy to buy clothes in colors I like in the first place.